Particle Image Velocimetry (PIV) is an optical method of flow visualization used in education and research. It is used to obtain instantaneous velocity measurements and related properties in fluids. The fluid is seeded with tracer particles (like smoke in the air or small hollow beads with equal or similar density to water) in the flow field and assumption is being made that the tracer particles will follow exactly the flow of the liquids or gases. The flow is illuminated by the laser and the tracer particles scatter the light to make them visible to the cameras. Images are captured at certain small time separation to track the displacement of the particles. Two sequential images with tracer particles in motion are then processed for cross correlation to calculate the speed and direction of the flow to obtain velocity field. 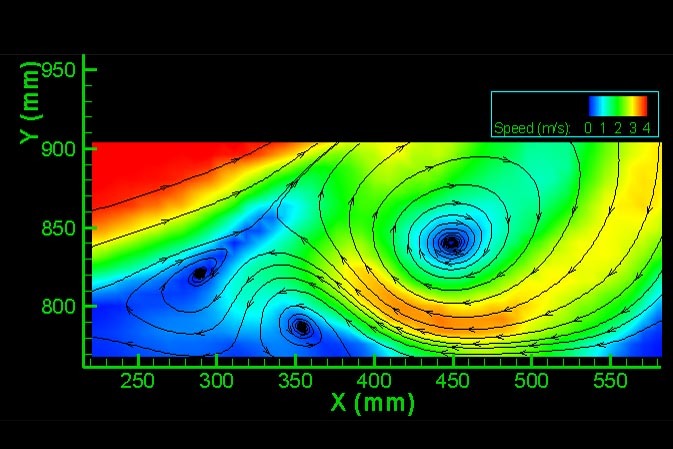 Further processing can be done to obtain flow vortices, flow lines, speed lines and flow field parameters distribution. Even pressure field can be reconstructed from certain sequence of images. Typical PIV system configuration consists of a digital CCD or CMOS camera, a laser with an optical arrangement to limit the physical area to be illuminated, a synchronizer to act as an external trigger for control the timing of the cameras and laser, the tracer particles and the fluid under investigation. A laser light arm may be used to connect the laser to the lens setup, which then converts the beam into a line. 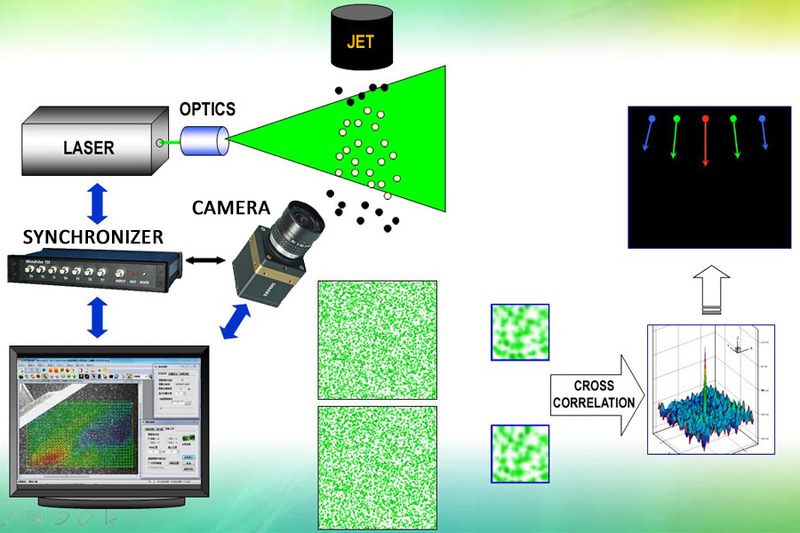 PIV software is used to process the optical images. 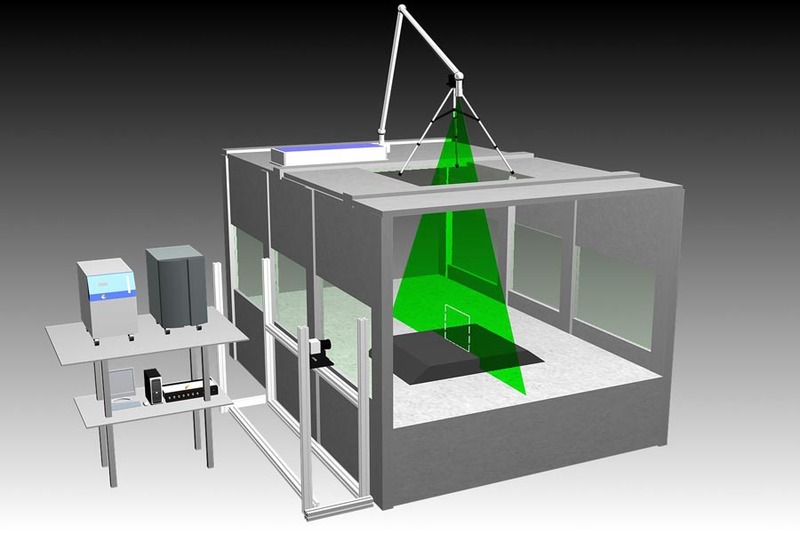 PIV is an easy experimental process, which is non-destructive, instantaneous, dynamic and includes full flow field velocity field measurement techniques. With the developments in the last 2 decades in the fields of electro-optics, laser technology, the digital image processing as well as advances in computer power, PIV systems gradually become mature and established testing technique and have been widely used in fluid dynamics. With the advances in design of imaging sensors and digital camera technology, the functionality and performance of mainstream PIV systems have increased as well. 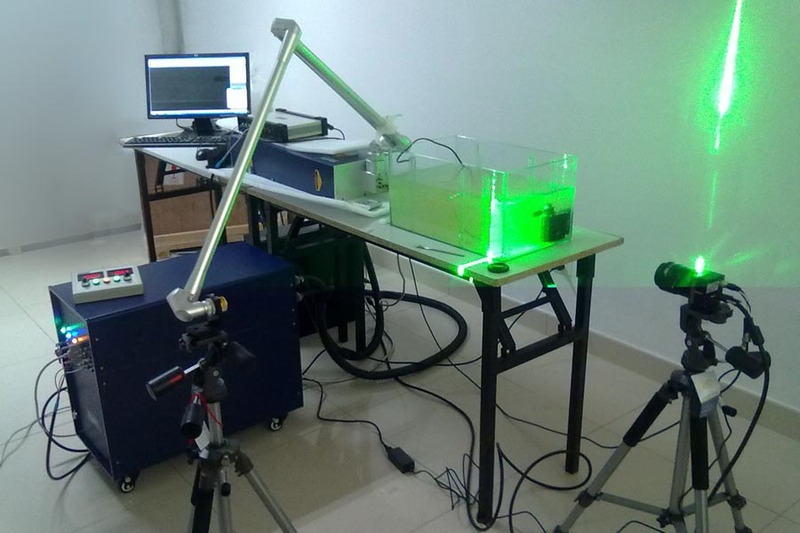 Form VGA resolution size camera to the present 29 megapixel cameras, these systems can offer unmatched tool for the researchers to study and analyze flow visualization in the real life. At the same time constant increases in computer performance, including use of GPU for parallel processing, allow more and more complex calculations to be accomplished with increased ease and speed. Initial simple PIV evolved into 3D (or stereo PIV), Time Resolved PIV, mini PIV, micro PIV as well as Tomographic PIV. Microvec was also the first company in the world to introduce commercial software for pressure measurements with PIV.